Box Dimensions (LxWxH) 7.6 x 5.4 x 0.6"
Canon 7D Crash Course (DVD) is rated 4.2 out of 5 by 6. 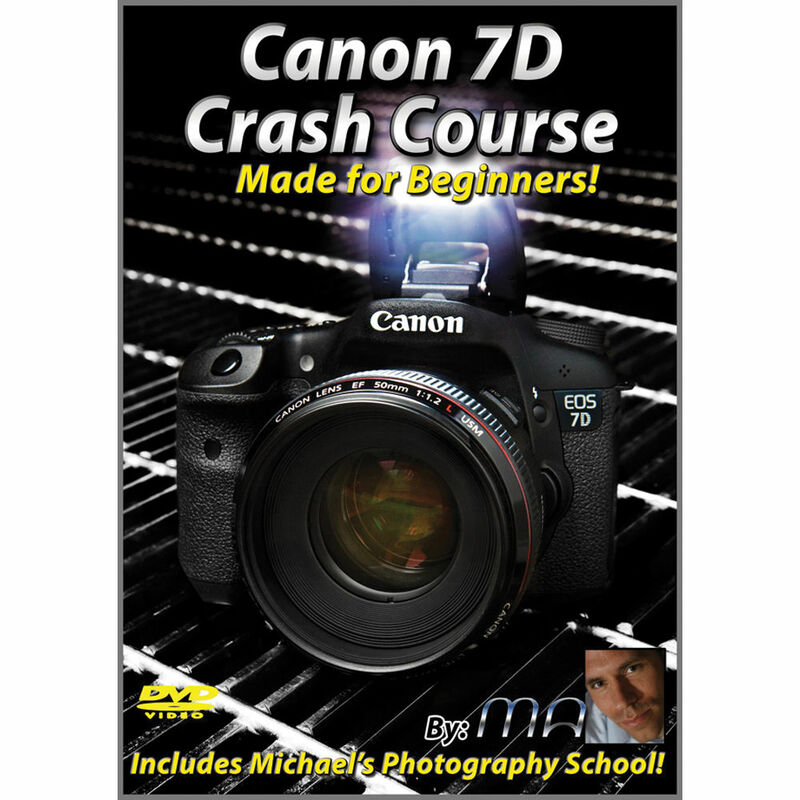 Rated 5 out of 5 by Bob from THE 7D CRASH COURSE IS EXCELLENT The Michael The Maven 7D Crash Course is very good. Michael has an easy going, easy to understand sytle of delivery that works well to communicate each detail of using the Canon 7D camera. The production values on the video are good and the section on the use of the buttons on the 7D is very helpful. I found it interesting that he recommended 3 basic Canon lenses to use that my wife and I also use. Overall the video is a good investment to starting climbing the learning curve of the Canon 7d. Rated 1 out of 5 by John the Frustrated from The Crash course is a Crash and Burn If there was a way to put in a '0' rating, I would have. It took me several phone calls where I could only leave a message through a Phone answering service, sorry sir their phone lines are down, to which they never called back. I sent an e-mail, which they responded to by giving me a secret password with which to access my account. I'm still trying to figure out why I had to complain to just get this 'Maven created password' and also why the passwords that I created didn't work. Once I finally accessed my account, the files wouldn't open on my Mac computer. I never did get to view any of the highly touted instruction and never got my refund. Michael is very good at selling this program, but is poor on customer service. Rated 5 out of 5 by Sourdough Jon from 7D Crash Course Like most people I simply hate reading how to booklets or assembly instructions with their aggravating small print (what icon was that?) . This DVD lets you learn your camera with a hands on approach. This for me is the fastest and easiest way to learn any skill. After retiring in 2005 I moved to Alaska and became a fairly proficient amateur wood butcher by working with a master carpenter. The two of us built my house there. Doing vs reading how to do is a far superior way to acquire knowledge and become proficient with your tools, whether they are a chop saw or your new camera body. I learned more in the first hour of watching ( and doing) this DVD than I ever could by reading the book. And the knowledge sticks! I am already a better photographer with my 7D. Photography is supposed to be fun... and it is as long as you don't have to fumble around. I was so impressed with Michael the Maven's crash course that I purchased another one as a Father's Day gift for my son who recently purchased a Canon 60D. He is of the same opinion. I wish it was available when I bought my first Canon DSLR (D60) way back when. Rated 5 out of 5 by CPE94 from Canon 7D Crash Course DVD Simple and easy to understand. Good visuals.